BigID Inc. has today announced the general availability and pricing plans of its enterprise privacy management platform. Founded in early 2016, the company has sparked much interest in their innovative and up-to-the-minute approach of critical data management issues. The company’s technology seeks to help enterprises better protect the privacy of their customers' personal data through the application of machine learning and identity intelligence to data privacy. With the success of its early access beta program, their pioneer data privacy solution will now be more widely available. New privacy regulations like the EU General Data Protection Regulation (GDPR) are confronting enterprises with potential fines reaching 4% of their global revenue for not meeting specific requirements around customer and employee data rights. BigID is the first ground up data intelligence platform that provides the centralized view into personal and private data distributed across data repositories required in order to meet EU GDPR requirements such as data subject rights, automating simplifying Privacy Impact Assessments, ensuring prompt and accurate breach response and tracking privacy requirements around consent, residency, X-border flows and retention. Using BigID enterprises can satisfy GDPR and similar regulations while also enhancing personal data breach prevention, detection, defense and response. This release comes at a particularly pivotal point as 2016 saw a record number of personal record data breaches. The company will be demonstrating its personal data protection and privacy solution at the Early Stage Expo at the RSA Conference (intercontinental Hotel) Feb. 14-16, Booth #16. For more information contact info(at)bigid(dot)com or visit bigid.com. BigID aims to transform how enterprise protect and manage the privacy of personal data. Organizations are facing record breaches of personal information and proliferating global privacy regulations with fines reaching 4% of annual revenue. Today enterprises lack dedicated purpose built technology to help them track and govern their customer data. By bringing data science to data privacy, BigID aims to give enterprises the software to safeguard and steward the most important asset organizations manage: their customer data. BigID has offices in the US and Israel and is founded by security industry veterans spanning the identity, data security, big data and governance markets. To learn more visit bigid.com or @bigidsecure. Jornaya, the fast-growing consumer journey insights platform, today announced that it has secured $10 million in Series B funding and has changed the company’s name from LeadiD, effective immediately. The funding round was led by Edison Partners and positions the company for its next chapter of growth as Jornaya. The new corporate brand reflects the critical role Jornaya’s predictive analytics platform plays in providing real-time insight into the consumer purchase journey, for improved customer acquisition outcomes. Since its inception in 2011, Jornaya has experienced accelerated growth by effectively anticipating the skyrocketing demand for more relevant behavioral data insight to drive strategic customer acquisition programs. By the end of 2015, the company had achieved 17 consecutive quarters of revenue growth and increased its revenue per employee an impressive 54 percent year over year. During 2015, Jornaya added more than 30 new customers, and notably, attributed nearly 50 percent of growth to deepening relationships with its existing customer base across the insurance, mortgage, education, automotive and solar industries. Predictive intelligence tools are rapidly growing in adoption, since they are instrumental in helping marketers understand their consumers’ behavior and likelihood to buy. The recently published Salesforce 2016 State of Marketing Reportpoints out that 79 percent of high-performing marketers currently use predictive intelligence. The report also states that the high performing marketing teams are 8.8 times more likely than underperforming teams to have adopted a customer journey strategy, with nearly all (88 percent) of those high-performing teams agreeing that a customer journey strategy is critical to the success of their overall marketing efforts. The Jornaya platform has unmatched visibility into the consumer journey and the consumer's intent because its technology is a first-hand witness to everything the consumer does across devices, browsers, and web properties. Jornaya is an essential addition to a marketer’s decisioning toolkit. No matter what else a marketer’s consumer intent tool kit includes, Jornaya contributes data and insights that cannot be found from any other source. Jornaya’s platform seamlessly integrates with any consumer journey decisioning process. For 30 years, Edison Partners has been helping CEOs and their executive teams navigate the entrepreneurial journey and build successful companies. Through the unique combination of expansion capital and the Edison Edge platform, consisting of strategic advisory, the Edison Director Network, and executive education, Edison employs a holistic approach to nurturing invention and creating value for growth stage businesses ($5 to $20 million in revenue) in financial technology, healthcare IT, enterprise IT, and marketing software industries. Edison investment objectives also include: buyouts, recapitalizations, spinouts and secondary stock purchases. Edison’s active portfolio has created aggregate market value exceeding $5 billion. Its long-tenured team, based in Princeton, NJ, McLean, VA, and Cleveland, OH, manages more than $1 billion in assets throughout the eastern United States. Rocketrip believes you can motivate employees to spend less on business travel by rewarding them with gift cards. For each trip, the startup establishes a “budget to beat” and helps employees split the savings with the company. The concept gained early traction and now New York-based Rocketrip is raising an additional $9 million in funding led by Bessemer Venture Partners with participation from existing investors, Canaan Partners and Genacast Ventures. Rocketrip estimates it saves clients an average of $301 per trip, or 27.6% beneath their trip budgets. Ruch said that Rocketrip is targeting companies that spend at least $1 million on travel, with its largest customer spending $365 million on business trips last year. The startup builds algorithms that find real-time pricing for transportation and incorporates this information in a customized budget. Employees can book using their favorite travel sites and Rocketrip provides companies with insights and analytics about travel spend. Rocketrip has a SaaS business model and makes money based on volume of travel spend. In addition to gift cards, Rocketrip can reward employees with charitable contributions, travel benefits and other incentives. New York - May 24, 2016 Today, BigID Inc., a pioneer in enterprise privacy management, is announcing initial$2.1M in venture funding and early access to its privacy management platform for enterprises. Enterprise focused seed funds Genacast Ventures, BOLDstart Ventures, and Deep Fork Capital all participated in the financing. More than 1 billion personal data records were lost or stolen over the course of the past year, costing business over $150 billion. BigID's privacy management platform provides enterprises a new way to find, monitor and analyze customer data to both reduce breach risk and improve privacy compliance. Pressure on enterprises to improve their customer data security has been reinforced by recent regulations like the EU's General Data Protection Regulation (GDPR) which penalizes privacy non-compliance with sanctions up to 4% of revenue. "Customers are loyal to businesses they trust. BigID gives organizations a new way to safeguard their customer information. Identity theft, loss and misuse is a paramount worry for consumers and the regulators that protect them. BigID is the first dedicated solution designed to give business the tools they need to protect the privacy of their customers," said Dimitri Sirota, CEO and Co-Founder of BigID. "Almost daily, the news headlines feature a new company whose customer data has been compromised," said Gil Beyda, Managing Partner of Genacast Ventures. "The cost to business is huge: reputation damage, long investigations, costly repair, lawsuits, regulator penalties, insurance payouts and sometimes worse. Privacy is the new business imperative. BigID provides businesses technology to manage what today is an expensive and error-prone manual approach to privacy." Ed Sim, Managing Partner of BOLDstart Ventures added: "Privacy is where the security market was 20 years ago. BigID is first-­to-­market with a critical protection solution for safeguarding the most valuable asset a company has: its customer information." BigID, Inc. is the first privacy management platform for the global enterprise. Using BigID, companies reduce breach risk, contain liability exposure and address proliferating global privacy regulations. The company was founded by identity and security veterans Dimitri Sirota and Nimrod Vax. Sirota previously cofounded API Security & Management vendor Layer 7 Technologies. In 2013, Layer 7 exited to CA Technologies. Vax has over 15 years' experience in Identity and Security as an engineering and product manager, served as product line manager of the Identity Management and Governance product lines at CA Technologies. BigID is headquartered in NY with development offices in Tel­aviv. You can follow BigID at www.bigid.com and @bigidsecure. Genacast Ventures invests in technology entrepreneurs with a vision and passion for forging new markets or disrupt old ones. Established in 2008 as a partnership between serial entrepreneur Gil Beyda (Real Media and Tacoda) and Comcast Ventures, Genacast's commitment to helping exceptional entrepreneurs build great companies is already experiencing success with its first investment Invite Media being acquired by Google, its second investment Demdex being acquired by Adobe, its fifth investment Divide being acquired by Google and its sixth investment MortarData being acquired by DataDog. Current portfolio companies include DoubleVerify (advertising), Mortar Data (big data), LeadiD (lead generation), YieldMo (mobile advertising), Rocketrip (corporate travel), ZeroFox (security), RevMetrix (retail analytics), Overlap (scheduling) and STAQ (advertising). Genacast invests up to $1M in 4­6 seed­stage start­ups each year. STAQ, the automated reporting and integrations platform as a service today announced that the company has closed on a $5 million round of funding led by Pereg Ventures and also including Genacast Ventures, Core Capital, Kinetic Ventures, and Revel Partners. The round allows STAQ to strengthen their position as the leading firm in the fast growing integrations and reporting automation market for digital advertising technology. STAQ's platform integrates the technologies that publishers and advertisers use to drive their digital businesses. "We are very excited to support the STAQ team as they enter their next phase of growth," said Ziv Ben Barouch from Pereg Ventures. "Digital advertising systems are growing in breadth and complexity. STAQ's unique platform collects and streamlines information between systems, creating a more efficient and profitable scenario for the companies that use these vendors' products." "We're thrilled to raise an additional round of funding to fuel our next level of growth. The need for an integrations platform in digital advertising is clear as new technologies, APIs and metrics are constantly evolving," said James Curran, CEO of STAQ. "Not only can advertising managers eliminate costly manual labor with STAQ, analysts and executives can generate insight across their business much more quickly and accurately." ZeroFOX Secures $27M Round Led by Highland Capital DEC. 3, 2015, BALTIMORE, MD — ZeroFOX, the leader in social media cyber security, has raised an additional $27 million in capital to provide detection and defense for social media security threats. Previous investors NEA, Genacast Ventures and Core Capital also participated in the round, along with Silicon Valley Bank. Finally, several industry veterans participated in the round as strategic investors, including Lane Bess, former CEO of Palo Alto Networks; Tim Eades, CEO of vArmour; and Avi Rubin, the Technical Director of the Information Security Institute at Johns Hopkins University. Much has been written about the rise of social network exploitation and the use of social media to compromise corporate networks. Cisco’s 2015 Midyear Report claims Facebook scams are the #1 method to breach the corporate network, far more common than traditional email phishing. McAfee reported that employees experience cyber crime on social media more than any other business platform, including email. According to Norton, 40% of people have fallen victim to social media cyber crime and nearly 4 in 10 accept unknown, unsolicited friend requests. Barracuda’s research supports this as well: 92% of social media users report receiving spam, 54% have received phishing links and 23% have received malware. Finally, TrendMicro’s research shows that 5.8% of tweets are malicious; roughly 29,000,000 malicious tweets per day. About ZeroFOX ZeroFOX protects organizations from the risks introduced by social networking and digital communication platforms. In an age of constant connectivity and social sharing, users have become the primary target for the adversary. By continuously monitoring social platforms for cyber attacks, information loss, social engineering campaigns, account compromise and fraud, ZeroFOX protects organizations from the next generation of digital threats. Leveraging cutting edge technology and proven security practices, ZeroFOX provides both targeted protection and global insights into the world of social media threats. ZeroFOX, based in Baltimore, MD, has collected a number of industry awards including being recognized as a SINET16 Champion, Security Tech Trailblazer of the Year, one of CRN’s Top 10 Security Companies, 2013 Maryland Cyber Company of the Year, Winner of Chesapeake Regional Technology Council 2014 Rising Star Award, ‘20 Most Promising Security Companies’ by CIO Review, and Daily Record’s ‘Innovator of the Year’. To find out more information about ZeroFOX or to join our team, please visit: https://www.zerofox.com. Revmetrix Raises $2.2 Million Series Seed Round to Move Retailers into the Age of Big Data Washington, DC – February 19, 2015 - Revmetrix today announced it has secured $2.2 million in seed funding to debut the first omnichannel data platform for retailers. Revmetrix helps retailers leverage their own customer data to paint a detailed picture of customer behavior as it spans across multiple channels and devices. By doing so, Revmetrix enables retailers to build better, smarter interactions at every point of engagement for their shoppers. Philadelphia-based Genacast Ventures (affiliated with Comcast) and Boston-based .406 Ventures co-led the seed round. Collect and uniquely identify interactions from a single customer as he or she engages with a retailer, regardless of whether they are in-store, online or on their mobile device, and store each interaction in a detailed customer profile designed specifically for retail. Build complex queries across the datastore of customer profiles, interactions, segments, locations and products to gain unique insight into the behavior of shoppers. Create highly-targeted audiences that are built around customer engagement with that specific retailer, based on transparent, first-party data. Leverage connections to dozens of marketing platforms including email, display advertising, direct mail and social to create integrated marketing campaigns that improve a customer’s omnichannel experience and ensure repeat business. Additional investors in the Revmetrix seed round include Jerry Neumann of Neu Venture Capital, Millennial Media (NYSE: MM) co-founder Chris Brandenburg, Clarabridge co-founder Sid Banerjee, Higher One (NYSE:ONE) co-founder Sean Glass, and a host of other angel investors. Revmetrix Pilot Program Revmetrix is working with several big-name retailers to get them enrolled in the pilot program for the Revmetrix Platform. Retailers interested in participating can request more information by contacting Revmetrix at info@revmetrix.com. About Revmetrix Revmetrix is an innovator in omnichannel customer intelligence for retailers, founded by serial entrepreneurs Hemang Gadhia and Christopher Brown. Both Hemang and Christopher have previously founded and exited technology startups in the data intelligence and analytics space. The Revmetrix platform seamlessly brings all retail customer information together in one place to make it easily accessible and actionable, enabling retailers to ensure customer satisfaction and loyalty on an ongoing basis. Revmetrix is based outside of Washington, DC. For more information, visit www.revmetrix.com. NEW YORK – (BUSINESS WIRE) – Datadog, the leading SaaS-based monitoring platform for cloud applications, today announced it has acquired Mortar Data, a New York-based startup enabling companies to build and run custom big data applications and data pipelines. With the addition of Mortar Data’s analytics platform and experienced team, this acquisition will extend Datadog’s data analytics capabilities and will soon provide Datadog users with new ways to gain actionable insights from their data. Mortar Data’s platform allows users to analyze data and build big data apps with ease. Mortar users can integrate different data sources via robust pipelines and perform complex analyses with custom machine learning applications. The platform accelerates the development and deployment of data projects and then provides operational support by quickly pinpointing issues in production and automatically recovering from transient problems. Most recently, Datadog announced a $31M Series C funding round led by existing investor Index Ventures. The company continues to strengthen its leadership position within the market and has seen tremendous year-over-year growth since launching in 2010, adding customers such as Netflix, EA, Spotify, MercadoLibre and AdRoll. About Datadog Datadog is a monitoring service that brings together data from servers, databases, applications, tools and services to present a unified view of the applications that run at scale in the cloud. These capabilities are provided on a SaaS-based data analytics platform that enables Dev and Ops teams to work collaboratively on the infrastructure to avoid downtime, resolve performance problems and ensure that development and deployment cycles finish on time. YieldMo Closes $10 Million in Series C Financing Led by Time Warner Investments to Expand its Ad Format Lab™ and Private Mobile Marketplace Time Warner Investments joins existing investors Google Ventures and Union Square Ventures to bring a better mobile ad experience to market. (New York, NY) October 22, 2014 - YieldMo, a mobile advertising solution that optimizes revenue for publishers, ROI for marketers, and the experience for consumers, today announced its Series C financing round led by Time Warner Investments. YieldMo raised $10 million in its latest round, with full participation from existing institutional investors including Google Ventures, Union Square Ventures, Genacast, Rhodium, and Dace Ventures. YieldMo will use the funding to expand its pioneering Ad Format Lab™ and Private Mobile Marketplace. The Ad Format Lab conceives of innovative ways to deliver ad content on mobile publisher pages, and continuously prototypes and live tests ad formats to improve their favorability among consumers. YieldMo's Private Mobile Marketplace then enables advertisers to purchase these exclusive ad experiences on the mobile pages and apps of premium publishers, including Time Warner properties. YieldMo’s Private Mobile Marketplace is distinct in that it only includes premium advertisers and publishers, and provides transparent reporting down to the placement level. Since YieldMo ads typically appear on 100% of a publisher’s pages, YieldMo is uniquely able to use A/B testing, machine learning, and predictive modeling to optimize the ads towards their highest possible performance at the placement level. Advertisers frequently cite YieldMo as their top-performing mobile ad partner. Publishers in the Private Mobile Marketplace begin earning incremental revenue immediately. Due to YieldMo’s constant experimentation, publishers typically see this additional revenue increase by more than 90% during the first 12 months after launch. Michael Yavonditte, Co-Founder and CEO of YieldMo commented, "We continue to see success with our business model, and are excited to include Time Warner as a strategic investor and partner. We made the decision to invest heavily in new technology to improve the mobile ad experience for all parties, and the benefits of this early effort are now evident. Our proprietary technology has run tens of billions of unique ad tests to date – driving superior results for both advertisers and publishers." "YieldMo's leadership team has a successful track record of innovation in this space," said Allison Goldberg, Managing Director of Time Warner Investments. "Properties within the Time Warner portfolio partnered with YieldMo and are experiencing impressive results. We support and believe in the solution that YieldMo is building to shape the future of mobile advertising, and we are thrilled to be a part of it." YieldMo is a mobile advertising solution that optimizes revenue for publishers, ROI for marketers, and the experience for consumers. YieldMo's Private Mobile Marketplace enables marketers to purchase high-quality non-banner ad placements in consumer-friendly formats on the mobile pages and apps of premium publishers. YieldMo was founded in 2012 by Michael Yavonditte, Teddy Jawde, Todd Coleman and Rick Eaton. The founding team previously built Quigo Technologies (acquired by AOL in 2007). The company has received funding from top-tier investors including Time Warner Investments, Google Ventures, Union Square Ventures, Genacast, Rhodium, Dace Ventures, and ff Venture Capital. YieldMo is headquartered in New York, NY. To learn more, please visit yieldmo.com. New York (October 21, 2014) STAQ Inc., which makes ad operations more efficient by unifying ad technology through reporting, connections and integrations, today closed a $2.5 million Series A round of institutional financing led by Genacast Ventures and Core Capital. Other investors include Kinetic Ventures, Revel Partners and The Hive, an early stage fund for data driven businesses that also provided STAQ's seed round funding of $1.1 million. Founded in 2012, STAQ Inc. develops and provides STAQ, a collection, reporting, and integrations system for advertisement technology. Its product combines advertisement reporting that enables users to view their campaigns, inventory, data, analytics, and sales pipeline from across all of their advertising technology. Already, STAQ has integrated into more than 175 of the most widely used technologies among publishers and marketers, including ad servers, RTB exchanges, DSPs, SSPs, audience targeting systems, analytics, CRM and workflow tools. Mr. Curran added that the additional capital "Will fuel the expanding adoption of our product, used by brand publishers, ad technology platforms and media buyers." "The ad tech landscape is getting more complicated every day and STAQ is an essential tool to simplify this world for digital marketers," says Gil Beyda, Founder and Managing Partner of Genacast Ventures. "As a founder of and investor in many ad tech companies, it became clear to me that STAQ is critical for today's advertisers, agencies and publishers to be successful." STAQ, Inc. (http://www.staq.com) makes ad operations more efficient by unifying ad technology through reporting, connections and integrations. The company is led by industry veterans from the Rubicon Project, Collective Media, Advertising.com and DoubleClick. It has offices in New York City and Baltimore. NEW YORK, July 14, 2014 /PRNewswire/ -- Rocketrip, the first commercially available platform to save companies money on travel expenses by rewarding employees for cost-saving behavior, today announced that it raised $3 million in an accelerated round of funding from current and new investors. The funding will be used to expedite product development and sales efforts. The A-1 round was led by current investors Canaan Partners and Genacast Ventures, and includes participation from new investors CrunchFund and Paul Buchheit. Rocketrip closed a $2.6 million Series A round in January 2014 led by Canaan with participation from Genacast Ventures, Y Combinator, and other investors. To date, Rocketrip has raised $6.2 million in venture funding. "Since January's Series A round, results from Rocketrip's Pilot Programs have provided quantifiable evidence that the platform will decrease corporate travel costs by more than 20 percent, fundamentally change employee spending behavior, and make travel weary employees feel better about hitting the road," says Dan Ruch, Founder & CEO of Rocketrip. "We are all very encouraged by the positive feedback from current Rocketrip customers, as well as a deep pipeline of new business. The money raised from this A-1 round will be used primarily to drive our sales efforts as well as build out our product and engineering team to improve usability and integrate new features." "As a former Google employee, I've personally seen the benefit a reward-based travel policy offers both employees and finance departments," said Paul Buchheit, Rocketrip investor, a former Google employee and creator of Gmail. "I know the model works, and I am thrilled to be part of the Rocketrip team making this travel program available to companies and business travelers everywhere." PHILADELPHIA, PA--(Marketwired - Apr 30, 2014) - LeadiD, the first neutral, privacy-friendly, trusted arbiter of lead transactions, announced today that it has raised $7M in Series A funding from Comcast Ventures and Tribeca Venture Partners. Genacast Ventures, an early-stage technology fund affiliated with Comcast, which had led LeadiD's seed funding, also participated in this round. This brings the total of funds raised since the company's inception to $9.7M. Today's announcement was initially mentioned on re/code. LeadiD is growing dramatically. The raising of this Series A round of funding comes just a few months after the company's announcement that it had tripled both platform usage and revenue over the course of 2013. Located in Ambler, PA, just west of Philadelphia, the start-up will use new funding to grow its team and further strengthen its lead authentication technology for both buyers and sellers. LeadiD has already generated more than one billion unique LeadiDs for its 350 clients -- a list that includes major brands throughout the education, mortgage, insurance and automotive verticals. "Online Lead Generation is a multi-billion dollar industry," said Ross Shanken, Founder and CEO of LeadiD. "But the practice of buying and selling of leads traditionally has been highly inefficient. We developed and scaled a system that allows sellers and buyers to determine the value of a lead and make purchase and resourcing decisions accordingly. This investment is the latest indication that we're moving the marketplace in the right direction." "LeadiD provides a technology that improves marketer outcomes, seller margins, and consumer experience," said Sam Landman, Principal at Comcast Ventures. "No other neutral solution like this exists at any scale, and we're excited to be backing the one with the first-mover advantage." "Genacast Ventures looks to invest in technology companies with the potential to disrupt large, established markets," added Gil Beyda, Founder and Managing Partner at Genacast Ventures. "Lead generation is one such market that is an essential customer acquisition vehicle for thousands of businesses, large and small, around the world. LeadiD helps insure there is a growing supply of quality, performing leads and has demonstrated their ability to bring new levels of trust and transparency into the lead selling and buying process. We believe LeadiD is now an indispensible component to a healthy, thriving lead generation ecosystem." LeadiD clients include Urban Science, eFinancial, Consumer United, and dozens of other brand advertisers. Whether on the buyer or seller side, the LeadiD technology authenticates the origin and history of every lead, providing real-time analytics that predict each individual lead's worth and efficacy. Registration for the technology is free for marketers on both sides of the transaction. BALTIMORE, MD—April 30, 2014—ZeroFOX, The Social Risk Management Company™, today announced it has secured $10.7 million in Series A funding led by New Enterprise Associates (NEA). The funding round includes a $450K non-dilutive incentive from the State of Maryland. Also participating in the round were earlier investors Genacast Ventures (a fund in partnership with Comcast Ventures), Core Capital and a number of notable security industry luminaries including Enrique Salem (Board Member at FireEye and former CEO of Symantec), Dean Drako (Founder and CEO of Eagle Eye Networks and founder, BOD and former CEO of Barracuda Networks), Michael Fey (General Manager and WW CTO at McAfee), John M. Jack (Former CEO of Fortify and currently a Board Partner at Andreessen Horowitz), Ken Levine (CEO of Verdasys and former CEO of Nitro Security), and Todd Headley (former CFO of SourceFire), amongst others, bringing total funding over the last 12 months to $13 million. According to the 2013 Verizon Data Breach Report, nearly 1/3 of all data breaches occurred via social as the primary attack vector. ZeroFOX is uniquely focused on this attack vector, enabling organizations to identify, manage, and mitigate the information security risks associated with employee and corporate social media usage. From targeted social-based cyber attacks to fraud, phishing, social engineering and impersonations, the ZeroFOX Platform provides real-time risk management, threat intelligence and security analytics. ZeroFOX was founded in January of 2013 and has collected a number of industry awards including being recognized as the CRN’s Top 10 Security Companies, 2013 Maryland Cyber Company of the Year, Winner of Chesapeake Regional Technology Council 2014 Rising Star Award, Winner of the 2013 Mid-Atlantic Venture Association Capital Connection TechBuzz show in Washington D.C., ‘Incubator Company of the Year’ for the state of Maryland in June 2013, and Baltimore Business Journal’s ‘Top 5 Cyber Companies to Watch’, ‘20 Most Promising Security Companies’ by CIO Review, and Daily Record’s ‘Innovator of the Year’. NEW YORK, Feb. 10, 2014 (GLOBE NEWSWIRE) -- Rocketrip, the first commercially available platform to save companies money on travel expenses by rewarding employee cost-saving behavior, today announced that it has closed its first institutional round of funding. Canaan Partners led the $2.6 million Series A financing with participation from Genacast Ventures and others investors. Rocketrip has received previous funding from Genacast Ventures, Y Combinator, and angel investors. "Legacy corporate travel systems that are designed to streamline the travel process and enforce policy, in fact create friction with employees and drive non-compliance in today's $160 billion-a-year US business travel industry. As a result, travelers often 'go rogue' as the industry calls it, and book travel outside of those systems," says Dan Ruch, Founder & CEO of Rocketrip. "Rocketrip is optimized for employees that are allowed to book travel using their website or vendor of choice, motivating cost sensitivity by rewarding employees with a percentage of the savings they generate. However, for companies with a more complex travel program and a mandated booking channel, Rocketrip can function in parallel with existing systems by motivating similar cost saving behavior." In just three months of early pilot testing, seven Rocketrip customers saved nearly $20,000 across 100 trips. This represents a higher-than-expected 25% reduction in travel spend. "We are pleased to have Canaan Partners and Genacast Ventures invest in our vision to reform a very broken corporate travel management process," adds Mr. Ruch. The new funds will be used to accelerate software and product development and to build out sales and client services." "Forward-looking companies are recognizing that they can enlist their employees to help reduce spending on travel while increasing employee satisfaction on these trips. This change is happening especially fast in the mid-market," says Warren Lee, General Partner, Canaan Partners. "Rocketrip is well-positioned to take advantage of these changing corporate travel market dynamics." "Existing travel management interfaces are obsolete; they are bulky, antiquated, take time to learn, and have increasingly diminishing value. By contrast, online travel agencies and other online booking websites provide ease of use, high availability, and lots of choice," says Gil Beyda, Founder and Managing Partner of Genacast Ventures. "I believe the corporate travel management space is starving for the kind of innovation that Rocketrip provides." "With Rocketrip's incentive platform, companies can promote desirable cost-saving behaviors, such as advanced purchase of flights. Everyone benefits from using Rocketrip: companies cut their travel costs and get best-in-class reporting on travel spend and behavior, and employees earn rewards for booking cost-effective trips," says Gillian Tee, Rocketrip Co-Founder and Head of Product and Technology. Rocketrip (http://www.rocketrip.com) is the first commercially available travel management platform to save companies money on travel expenses by motivating employees to become willing and enthusiastic partners in cost savings. Rocketrip's algorithms integrate a company's travel policy with real-time trip pricing and availability to create a personalized Smart Budget for each trip. Employees are set free to book using their favorite travel websites. The company rewards employees for booking under budget by sharing a percentage of the savings in the form of cash and gift cards. Rocketrip, based in New York City, provides employers with insights and analytics on company spending, savings and employee travel behavior, giving them the ability to optimize their travel policy and rewards program. (New York, NY) December 5, 2013 -- YieldMo, a technology company rethinking mobile advertising for publishers and marketers, today announced its Series B financing round led by Google Ventures. YieldMo raised $8 million in its latest round, with full participation from existing institutional investors including Union Square, Genacast, Rhodium, Dace Ventures and ff Venture Capital. The company has raised $12.1 million to date. Using YieldMo’s technology, marketers can purchase high quality ad placements in consumer-friendly formats on mobile pages and apps of premium publishers. The ad placements typically appear on 100% of the publisher’s mobile inventory and allow for an incomparable level of testing and optimization using machine learning and predictive analysis. YieldMo has consistently delivered best-in-class metrics for publishers and marketers, and will use the new funding to continue building unparalleled technology infrastructure and adding more premium publishers and advertisers to its platform. YieldMo was founded in 2012 by Michael Yavonditte, Teddy Jawde, Todd Coleman and Rick Eaton. The founding team previously built Quigo Technologies, a Web advertising company that was acquired by AOL in 2007. YieldMo’s system addresses prevalent issues of privacy and effective targeting with mobile in mind. YieldMo is distinct in that it deals only with premium publishers, does not require user tracking or targeting and enables both publishers and marketers to showcase and optimize their brands in order to yield their due share. About YieldMo YieldMo is rethinking mobile advertising to optimize yield for publishers, ROI for marketers and the experience for consumers. YieldMo’s Premium Private Platform for Mobile enables marketers to purchase high quality non-banner ad inventory in consumer-friendly ad formats on the mobile pages and apps of premium publishers. YieldMo was founded in 2012 by Michael Yavonditte, Teddy Jawde, Todd Coleman and Rick Eaton. The founding team previously built Quigo Technologies (acquired by AOL in 2007). The company has received funding from top-tier investors including Google Ventures, Union Square Ventures, Genacast, Rhodium and Dace Ventures. YieldMo is headquartered in New York, NY. To learn more please visit yieldmo.com. NEW YORK, Oct. 8, 2013 /PRNewswire/ -- Enterproid, developers of Divide™, the secure mobile platform, announced today it has secured $12 million in Series B funding led by Google Ventures and will now conduct business under the Divide name. The latest investment -- which includes participation from existing investors Comcast Ventures and Qualcomm Incorporated, through its venture capital arm, Qualcomm Ventures, as well as new investors Globespan Capital Partners and Harmony Partners -- brings Divide's total funding to $25 million. Divide, which was founded in 2010 to provide an innovative no-compromise BYOD solution, will use the investment to accelerate its growth and capitalize on key partnerships with companies such as IBM, Vodafone, Verizon and Tangoe. Since its launch, Divide has been downloaded more than 200,000 times by consumers and professionals through the Apple App Store and Google Play. The Divide platform is seeing even faster growth among corporate clients, with a more than 10 fold increase in paid licenses so far this year. Divide sells to hundreds of customers including some of the world's largest financial, healthcare and technology companies as well as federal agencies and small and medium-sized businesses. "Divide provides a simple, secure and standardized solution for BYOD that is unique in its ability to win over both IT decision makers and employees," said Divide CEO Andrew Toy. "We're taking this opportunity to embrace the Divide name, which best embodies the work we do in securing business data on employee-owned devices. Our mission has resonated with hundreds of enterprises looking for a better mobility solution for solving BYOD." Divide, available on iOS and Android as a free app or with an enterprise subscription, offers an encrypted workspace container on employee devices that keeps business data and apps separate and secure from the personal side of the device. Corporate customers can manage Divide through the cloud-based Divide Manager console or through select mobile device management (MDM) partners. Divide also offers the industry's first customized container, allowing businesses to extend their brand to mobile devices. "With the changes in the mobile landscape, enterprises are looking for a way to transform today's smartphone into an enterprise-ready mobile device," said Rich Miner, General Partner at Google Ventures. "Divide delivers a fully functional smartphone experience, while adding all the security, policy enforcement, manageability and core apps you'd expect from a best-in-class enterprise mobile platform." Divide delivers easy, secure enterprise mobility, enabling organizations and individuals to get the most out of mobile technology and corporate BYOD policies. Divide offers a secure container solution that includes cloud-based management with advanced on-device technology for enterprise security and control without compromising personal freedom and privacy. Founded by former mobile executives and engineers from Morgan Stanley, Divide is headquartered in New York, with offices in London and Hong Kong. 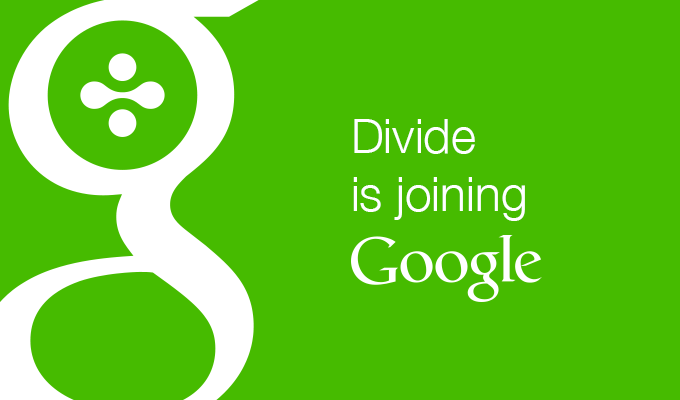 Divide investors include Google Ventures, Comcast Ventures, and Qualcomm Ventures. Learn more by visiting our website, or by following @divide on Twitter. Divide can be downloaded for free from Google Play and the Apple App Store. This new development builds on company’s early success in forming strategic partnerships with industry leaders to facilitate seamless adoption by lead buyers. Earlier this year, the company launched LeadiD Marketplace, a single source for best-in-class marketing solutions that support the LeadiD standard. Solutions in LeadiD Marketplace are fully integrated with LeadiD, and are offered ‘on-demand’ for rapid implementation, enhanced results and increased ROI. A few short weeks ago, the company also reached another major milestone with the unveiling of the LeadiD TCPA Compliance app. The app provides organizations a way to obtain and demonstrate definitive confirmation that the proper TCPA (Telephone Consumer Protection Act) disclosures were present during the lead event and that the consumer did in fact provide express consent. The LeadiD TCPA app is the first truly scalable TCPA app because it doesn’t require disruption of dialer operations with manual screen shot review, thereby preserving an organization’s speed-to-contact advantages. LeadiD also commissioned a white paper and checklist addressing TCPA concerns in the online media sector. The firm has also been recognized by industry peers for significant achievement and was named winner of the coveted Most Innovative Company award in the 2013 LeadsCouncil LEADER Awards program. Cloud-Based Security Platform Provides Real-Time Threat Identification & Prevention; Protects Enterprise Organizations from Social Cyber Threats BALTIMORE, MD—July 23, 2013—Riskive, the Social Risk Management company, today announced it has secured $2.2 million in seed funding from Genacast Ventures (a fund formed in partnership with Comcast Ventures), Core Capital and a world-class group of individual investors. Riskive protects government and enterprise organizations from the next generation of security threats: Social Cyber Threats. Angel investors participating in the round include Frank Bonsal (Founder of NEA) and serial entrepreneurs Greg Cangliosi, Bill Boyle and Andrew Eye, amongst others. Social Risk Management is emerging as the next great security challenge for organizations which are being continually breached by a myriad of experienced attackers and hackers. Riskive’s cloud-based technology platform is currently deployed in beta and leverages predictive analytics to protect against advanced cyber threats in multiple government and enterprise organizations. Riskive has assembled a proven team of over 12 security experts. This quickly growing team is continuing to enhance Riskive’s proprietary cloud-based technology platform that is dedicated to identifying, monitoring and preventing risk across the socially connected enterprise. Riskive’s security technology allows for real-time protection of users, applications and social brand assets. Riskive was selected as the winner of the 2013 Mid-Atlantic Venture Association Capital Connection TechBuzz show in Washington D.C., besting over 300 other early-stage companies. Additionally, Riskive was also named the ‘Incubator Company of the Year’ for the state of Maryland in June 2013. LeadiD closes $1.7 million in funding to accelerate the company’s growth within the lead generation space. LeadiD (leadid.com), developer of a groundbreaking lead certification technology platform, today announced that it has closed $1.7 million in funding to accelerate the company’s growth and success in the lead generation marketplace. The investment was led by Genacast Ventures, a seed-stage investor, based in Philadelphia, PA. LeadiD will use the funds to hire additional business development and engineering resources, produce unique marketing campaigns, accelerate innovative application development and drive market adoption. In conjunction with this investment, LeadiD has recently added several industry veterans to drive LeadiD’s growth. John Trionfo, LeadiD’s most recent hire from TARGUSinfo, is the company’s new Senior Vice President; Rob Rokoff, previously of Leads360 and TARGUSinfo, is the Vice President of Business Development; Natalie Stopko, previously of LendingTree, LLC., has come on board as Director of Marketing; Lauren Jacobson, previously of Ampush Media, Inc., will come on board in early August as Director of Client Services. In the coming weeks, LeadiD will add executives from additional firms within the Lead Generation space. “We were very excited to invest in LeadiD. We see hundreds of businesses each year and LeadiD was a standout with a game-changing idea in lead generation. Plus they have a team with deep domain experience and an ability to deliver this valuable service,” said Gil Beyda, Founder and Managing Partner of Genacast Ventures. LeadiD has over 160 companies utilizing the platform, which currently issues over 15,000,000 unique LeadiDs per month across the Education, Insurance, Legal and Automotive verticals. “LeadiD market adoption validates that many firms in our industry do want lead gen to mature; and LeadiD does a better job bringing both sides together because our technology platform empowers a neutral and trusted transaction. We are excited that Gil recognizes the potential of our technology and our team and I am thrilled to have Genacast join the LeadiD family,” explains Shanken.